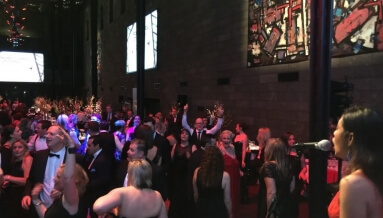 Although corporate award events are primarily meant to celebrate those that have stood out in an organisation for the entire year, they also present an ideal environment for attendees from different fronts to come together and have fun, laughter, and get entertained. However, planning an award event that commands attention and creates long lasting memories can be a daunting process for anyone. An awards night theme is among the integral components of such a ceremony as it plays a pivotal role in spicing up and creating a charming and memorable atmosphere. 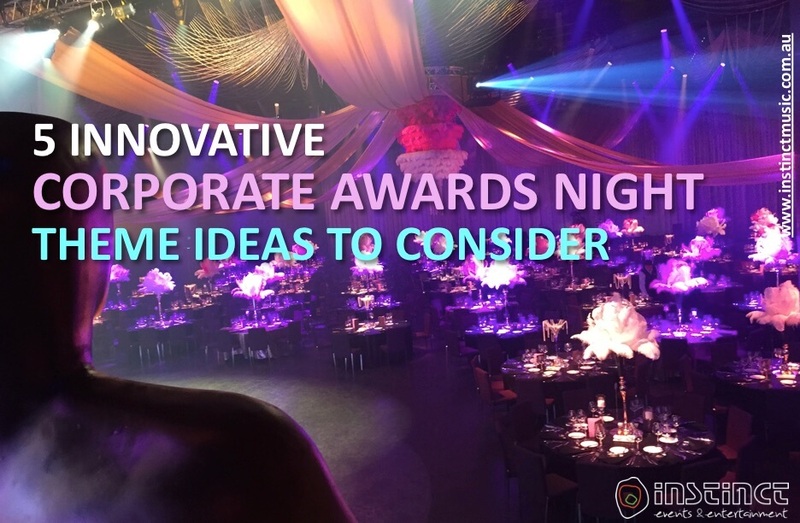 For this post, we take a look at some of the most popular corporate awards night themes ideas you need to consider for your upcoming event. While some people view this setting as dull and boring, it is one of the settings that can help you create a classy and memorable event. The theme is well suited for high-end corporate ceremonies as it allows event planners to play around with colours, classic décor, and subtle lighting. This can help create an atmosphere that feels extravagant and sophisticated. When it comes to gloss and glamor, the Casino Royale themed-night is unparalleled. This theme exhibits a sharp focus on certain key aspects such as classy décor, sophisticated dressing, focused illumination and an overhaul VIP setting. A Casino Royale themed-ceremony is often an elegant affair where gentlemen come dressed in suits and a black tie while ladies wear gowns and heels. It may also include other components such as gaming tables, casino props, gaming chips, bouncers, intuitively designed stage sets, exotic car displays, among several others. This themed evening usually entails elaborate décor, beautiful grand centrepieces, precise entertainment and refined dressing. Rich but subtle colours such as beige, white, gold, silver and grey are what brings this theme to life. You can get creative with illumination and ambiance using luxurious chandeliers. The theme’s dress code includes elegant dresses, classic black tie, and feathers. This Caribbean theme brings out the idea of a pristine island getaway. Normally, events employing this them are either held outdoor or rooftop and are completed by bright shades inspired by the ocean, a seafood menu, natural rustic décor, and exotic flower centerpieces. Archways and entrances feature coconut trees and traditional straw gates, while hats, headbands, beads and garlands complete the dress code for the night. A new trend in night event setting is the nature theme. This theme represents a major shift from the conventional ones we know by putting sustainability and social responsibility at the forefront. It also inculcates fundamental natural aspects ranging from recycled items, organic food, to soft ambient lighting and natural décor. The theme invites the use of precise earthly colours for center pieces, dress code, or furniture. Living garden and nature-inspired photo wall can also be included to add to the perfect natural display. A themed event gets everyone in attendance excited and so try to be very keen when choosing that which best suits your event. Although a majority of awards night themes come with their specified adorning elements, it doesn’t hurt to be a little creative. As such, feel free to add a few personal touches as long as they don’t interfere with the seamless flow of the mood set by the particular theme. 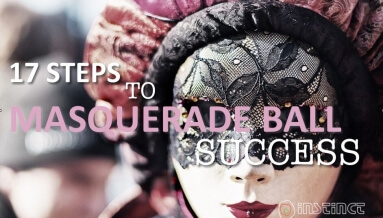 17 Steps to Masquerade Ball Success!